Airports can be stressful, and keeping your passport, tickets, boarding passes and foreign cash neatly stowed and exactly where you need them important for stress-free transit. The Travel Wallet enables you to keep all of your important documents in one place while fitting snugly in your pocket. 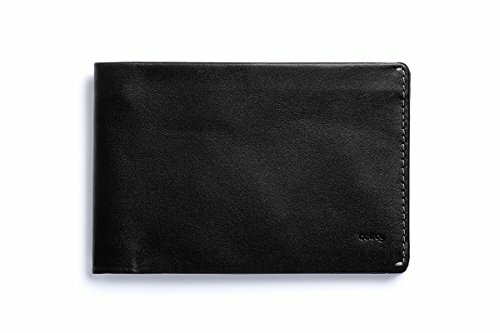 It features two sections for bills (to help keep your currencies separate), a tailored passport pouch, card slots and even an included micro pen. So, the only thing left to think about is what's beyond the airport. We pay great attention to our materials and construction. Our products are made to last, and as such come backed by a 3 year warranty from the day of purchase, when used under normal conditions and for the purpose intended. Try not to stuff your wallet with more than the recommended amount, or put things in there that don't belong (like ninja stars for example). If you do, it can stretch the leather and put undue stress on the stitching and other materials. The warranty covers you against faults in materials or workmanship.